Brrr! As winter approaches, we’re thinking of sparkling white snow, hot cocoa with marshmallows, and most importantly, winter wonderland-inspired gift packaging. We’ve put together a few packaging options that remind us of the things we love most about winter, and hope that we spark some inspiration for your packaging this season. 1. Starry nights. Can you picture it? A clear, cold night, with the stars shining brightly above? 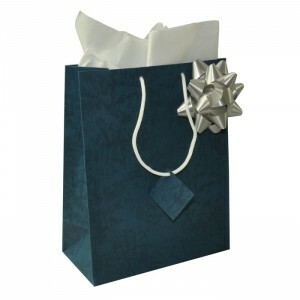 This linen tote in dusky blue with a silver star bow takes us right to happy memories of starry winter nights, which snow sparkling u. 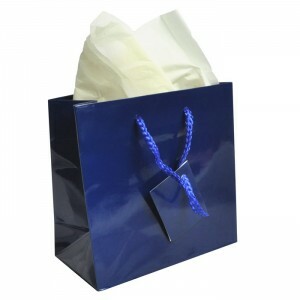 Use white tissue paper complete the pairing. 2. Cozy evenings by the fire. 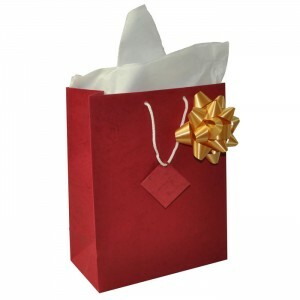 Another linen tote bag, this cheerful red pairs perfectly with a gold star bow and white tissue paper. With this combo, you’ll have a a warm color to keep spirits bright during grey winter days, and the splash of gold from the bow will add some extra richness to the set. 3 & 4. Winter wonderland. Whether you choose one of these bags or use both for your packaging, the glossy tote bags in purple and navy make a dreamy winter combo! 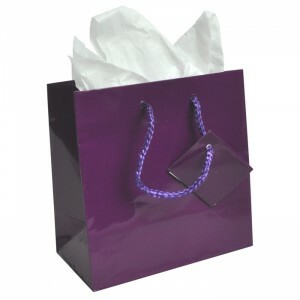 Pair these popular winter colors with white tissue paper for a complete gift packaging look.